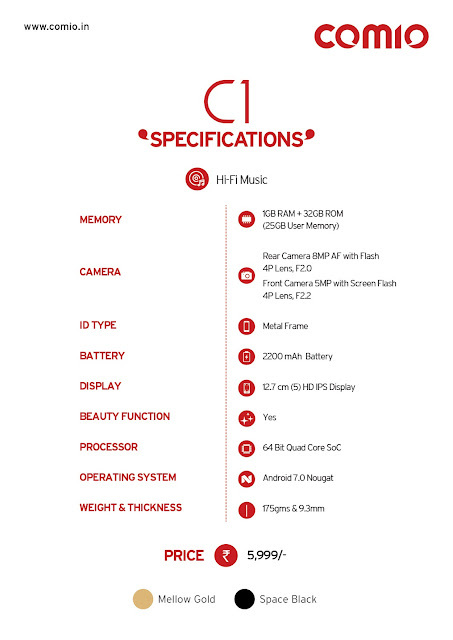 The COMIO C1 is a low budget 4G Dual Sim Smartphone that is launched for music lovers especially. It features a 5-inch HD IPS Display with a Metal Frame. It has a 64Bit Quadcore Chipset Processor. It has only 1GB of RAM but it packs an ample of storage space upto 32GB that can be expand via its hybrid Sim slot. It provides 25GB of user space. It runs latest Android operating system Nougat v.7.0 out of the box. This handset comes with Hi-fi music that provides users a multidimensional cinematic listening experience, bringing them closer to the action, delivering extraordinary sound quality. Whether listening via the stereo speakers or headphones, even the most discerning music fans will be blown away by the sound quality. It equips an 8MP 4P lens Auto Focus Primary Camera with LED flash on its back panel and on front it also has a 5MP 4P lens Selfie Camera with screen flash. It features 4G VoLTE network support with JIO 4G Sim network compatibility. 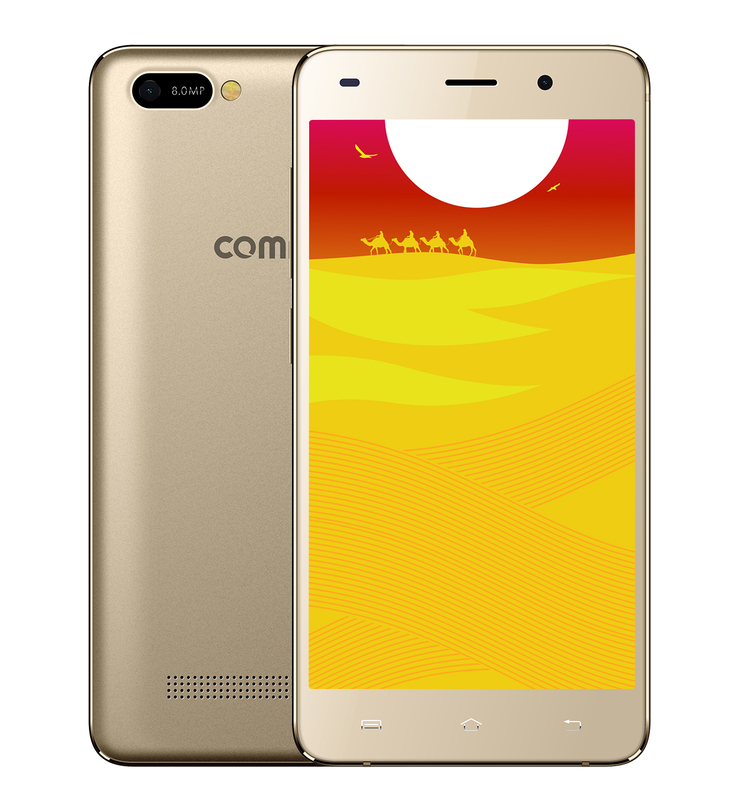 The COMIO C1 will be available in Mellow Gold and Space Black variants. It is available in offline market for sale and priced at Rs.5999/- only.